The NHS App will launch to private beta testers across England tomorrow. Speaking at the UK Health Show in London, Juliet Bauer – chief digital officer (CDO) at NHS England – revealed the eagerly-awaited health app would begin closed-doors testing in six regions from 27 September. The purpose of the beta testing is to help NHS England and NHS Digital identify potential issues with the app and iron out any kinks before it’s made available to consumers at the end of 2018, Bauer said. The test sites comprise regions in the North of England, the Midlands and East region, and South of England. They include: Liverpool, Staffordshire, Redditch and Bromsgrove, Wyre Forest and South Worcestershire, Wolverhampton, Hastings and Rother, and Bristol, North Somerset and Gloucestershire. The CDO of NHS England said it had been “a herculean task” to bring the NHS App to the testing phase. She suggested this was due to a change in “the culture of how we work” and strenuous efforts to make ensure the app provides a good user experience. “We want to make it delightful to use,” Bauer said, adding that initial impressions were that the app worked “really, really well”. Bauer also provided insight into the services the NHS App would aim to offer at launch. This includes symptom checking and triage; appointment booking; repeat prescription ordering; access to patient records; national data opt-out; and organ donation preference. The CDO revealed that NHS England and NHS Digital were also looking at how fingerprint scanning could be incorporated into the app, much like on banking and payment applications. “We’re looking at biometric login simply because it makes it easier to log in to the app,” Bauer offered. At the core of the NHS App will be NHS login, the new moniker of the NHS’s Citizen ID programme. Bauer previously suggested that the first NHS login services would appear for testing “within weeks” of her appearance at May’s UK eHealth Week. Bauer said NHS login would enable patients to log into a range of NHS and non-NHS services, including digital red books. 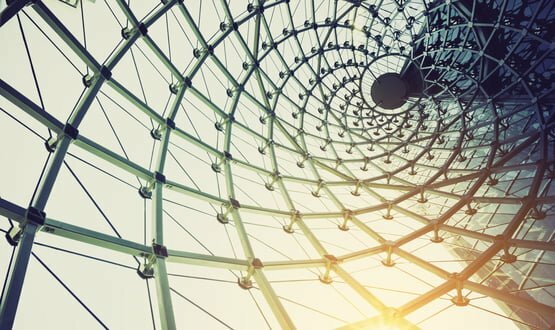 The CDO said there could be also be an opportunity for the NHS login to provide a jumping-off point for other NHS digital services in the future. Bauer claimed there were 80 such digital services “in the pipeline for testing” which could use the login service. “We think we are creating a platform from which we can do many things if we want to,” she said. Day one of the UK Health Show included an appearance by the NHS Digital CEO, Sarah Wilkinson, who proffered that healthcare was “entering the self-service era”. Does anyone know if the view of the GP record in the app is sourced from a feed of GP data into a large repository, updated every time the GP record is changed (publish/subscribe model) or is it being published live from the GP system itself? Does it work for all GP systems? I have just had an FOI response from NHS Digital with more information about this app – search under my requests at whatdotheyknow dot com. 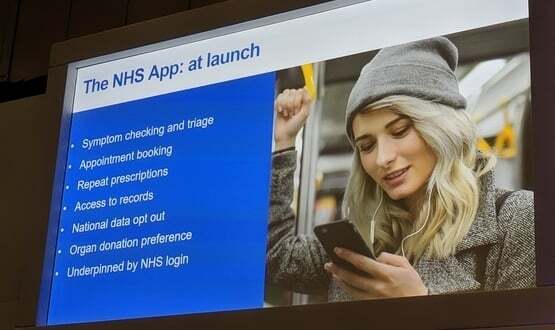 NHS App and NHS Login (catchy!) 2 massive wastes of public money that are trying to solve problems that don’t exist and have no real benefit to the public. If the NHS is developing an App why is it also promoting and wasting more money on its NHS App Library and assurance service? Isn’t that just a bit counterintuitive? Interesting argument, Steve. I’d counter that access to health records, prescription ordering and appointment booking via a smartphone app would solve a number of gripes experienced by modern NHS patients. Provided it delivers, of course. Not really, because it doesn’t address the underlying reasons why these are “gripes” exist in the first place. Apps to do that are already available, and have been for some time. Sorry Leicester isn’t on the private beta trial!